The specialist financial databases are mostly available online via the library website. For Bloomberg, Datastream, SDC Platinum and Thomson Reuters Spreadsheet Link, you will need to come to the Finance Zone or the Precinct Library and log into one of our dedicated PCs. 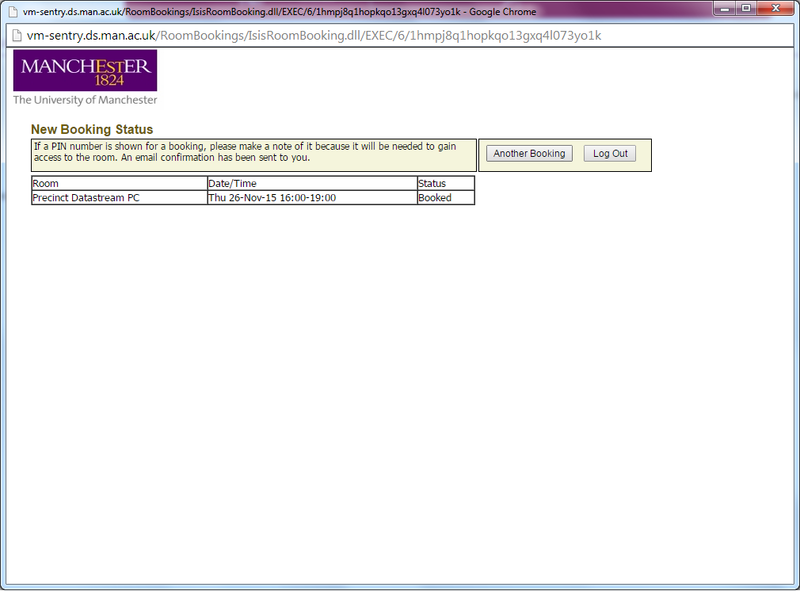 Start by visiting My Manchester and logging in with your University username and password. 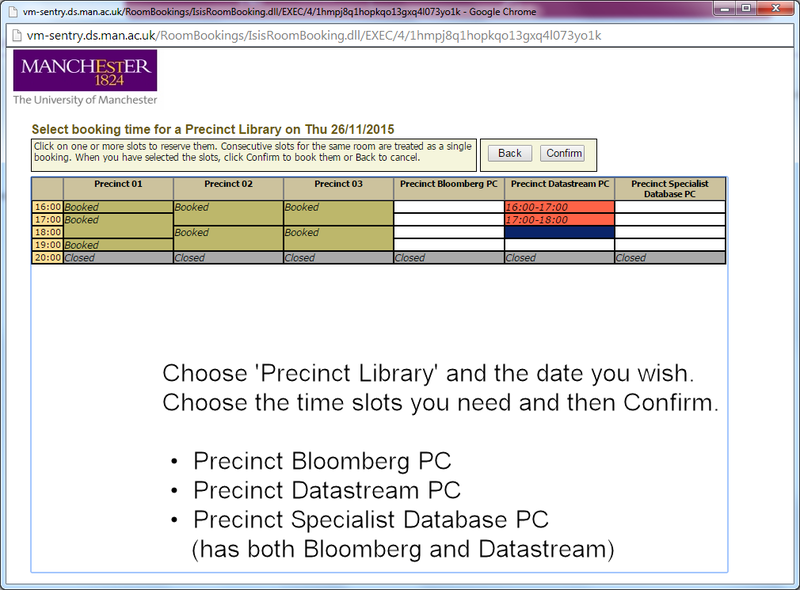 Choose ‘Precinct Library’ and the date you wish. Choose the time slots you need then Confirm. 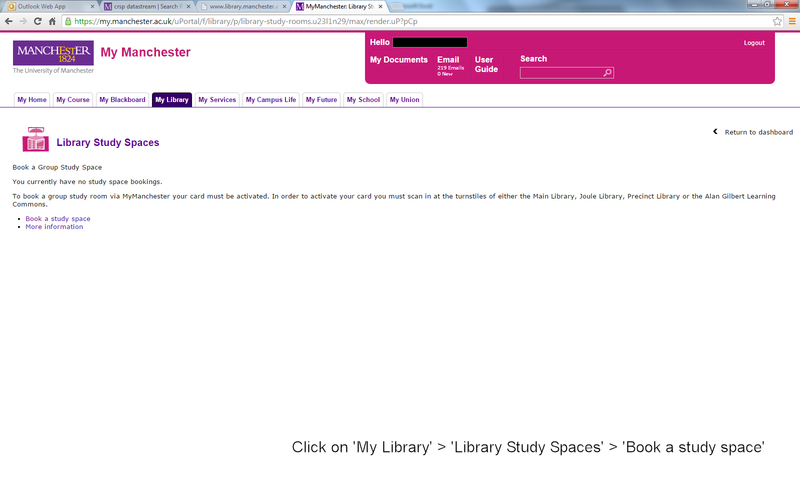 The keyboards in the Bloomberg Suite at The University of Manchester Library have been upgraded. The new keyboards, called “Starboard” by Bloomberg, are lighter and quieter to use, with the full-size layout of numeric keypad, cursor keys and bank of keys above the numeric pad. The extra row of keys across the top are mostly the same, as are the colours. The main differences that may affect you are as follows. The F1 function is now “Help” instead of “Law”. Previously, the Help key was just above the F1 key. The “End/Back” key is now better labelled; previously, it was labelled “End/Menu” and users often did not know that pressing it was the easiest way to go back one screen. There is a built-in microphone as well as speakers, and the headphone socket on the rear also accepts the single plug headphones and microphone layout common to mobile phone earphones (including the iPhone remote). We request users consider others in the room when using these features. The volume keys are on the top-right above the numeric pad. The microphone on/off key lights up when the microphone is active. Let us know if you have any comments about these new keyboards. I hope you enjoy using them. The next phase of the University’s £1 billion campus redevelopment, which will transform over 20,000 square metres of teaching and learning facilities in MBS, is about to begin. 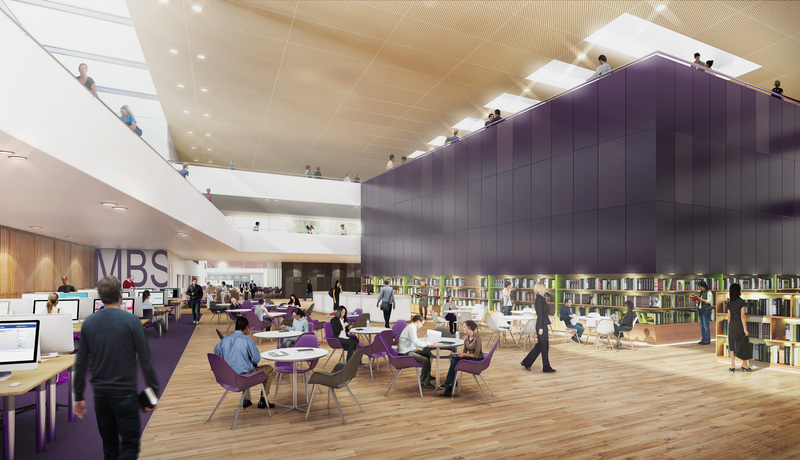 To support the development, important changes to MBS library facilities are announced. Between Monday 9 March and Monday 13 April, Eddie Davies Library, located in Devonshire House, will be vacated and its facilities will transfer across two sites. All printed resources will transfer to the lower floor of Precinct Library. Specialist resources, including the Finance Zone and Bloomberg Suite, will transfer to a new facility at Dover Street, which will open on Monday 13 April. Eddie Davies Library will close to all library users on Friday 20 March. Remaining book stock to relocate from Eddie Davies Library to Precinct Library. 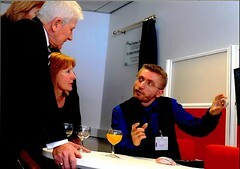 Finance Zone and Bloomberg Suite access to relocate to Precinct Library from Saturday 21 March (until Sunday 12 April). Usual lending and stock access to resume at Precinct Library from Tuesday 7 April. New Dover Street facility to open to library users on Monday 13 April. Access to Finance Zone and Bloomberg Suite available at Dover Street. During this phased program of activity, partial closures and contingency measures, including a retrieval service for borrowing books, will be in place at Precinct Library from Monday 9 March. There will be also be reduced access to Finance Zone and Bloomberg Suite resources at Precinct Library, until Dover Street opens on Monday 13 April. Precinct Library will remain operational during the transition period, but it is expected to be busier than usual and less study space will be available. Students requiring study space are encouraged to consider other library sites across the campus, most notably Joule and Kantorowich libraries. Students should also consider accessing online resources whenever possible. For enquiries about library services and facilities during the transition period, please speak to a member of library staff at Precinct or Eddie Davies, email libdesk@mbs.ac.uk or telephone 0161 306 3200. MBS and University Library Twitter followers can also track key updates using the hashtag #MBSchanges. Just added the LSE Library Blog to the blogroll widget on the right side. The LSE (London School of Economics and Political Science) Library Blog does a regular feature that highlights online resources of interest. The most recent Social Science sites of the week from LSE library (28 March 2014) includes sections on women on boards, engaging with massive online courses, research ethics guide book, and the Australian Government Web Archive (AGWA). For more on women on boards try the Corporate Law and Governance blog board diversity posts. In 2013 Business Research Plus has reached two significant milestones: over 100,000 views for the year and over 250,000 views since it was started in September 2009. We are taking a break. There will be no new posts until the week beginning 6th January 2014, and limited checking for comments. This feels like an appropriate time to metaphorically step back and reflect a little. 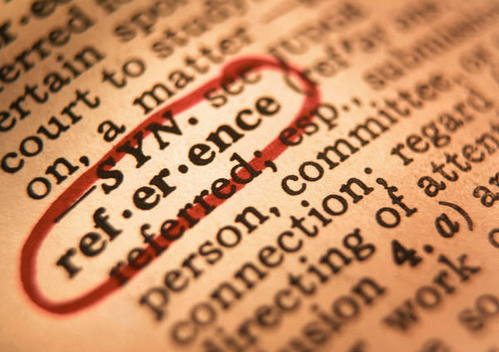 To try and view Business Research Plus objectively, one angle is to review some other blogs of interest to business and management researchers. Musings on Markets – thoughts about valuation, corporate finance and the news of the day! If we look at the most popular posts on Business Research Plus (BRP): risk free rates and CUSIPs would be specialist financial databases, journal ranking is not subject specific (though the BRP posts are), and referencing/EndNote is similar. 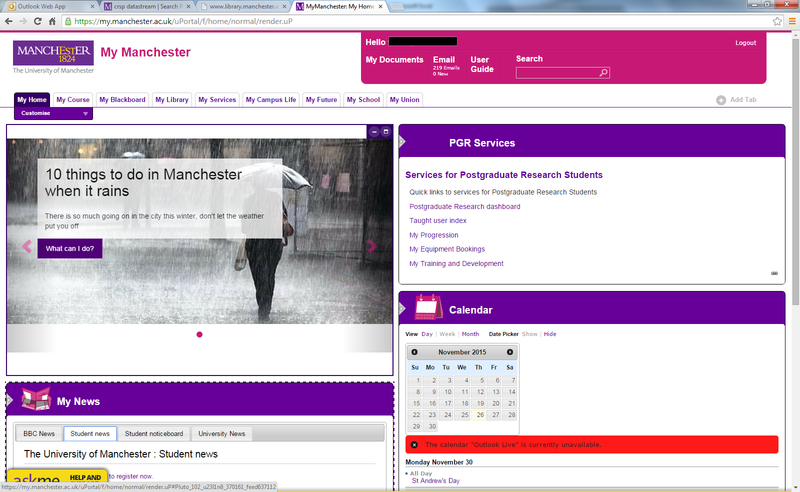 The posts “How to …” are firmly in the category of online tips based on Manchester resources. Blogs evolve. We should review the Business Research Plus About page (Broadhurst, 2010) and, if necessary, update it to reflect what we plan to blog about in 2014. Perhaps a resolution for the new year could be to reorganise our categories and improve our tagging. On the other hand, most readers may not use the categories and tags so our effort would be better spent on new posts, or new revisions of old posts. If you (as a Business Research Plus) reader have any ideas, comments or suggestions, please let us know (just remember to wait until January if you want a prompt response). 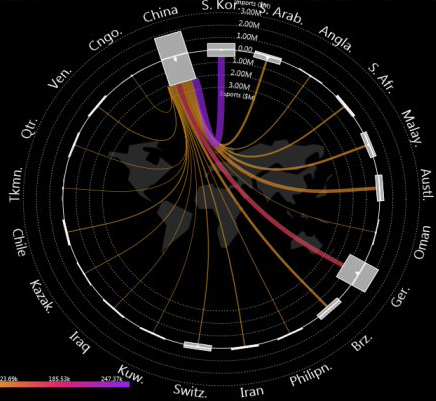 Bloomberg’s Trade Flow function (ECTR) has recently been updated. It provides an easy way to produce tables and graphs for world trade including data on total trade, surplus/deficit, exports/imports and net exports. Time series go back to 1980 and include yearly, quarterly, and monthly data. Geographic detail includes geographic regions, 251 countries, and geopolitical regions such as BRICS and the EU. A couple of business library blogs have mentioned the risk free rate recommendations on the Thomson Reuters Datastream extranet – see Risk free rates, T-Bills, Benchmark bonds (Databaser, Oct 2013) and Datastream – Risk free rate (Aberconway Library, Sept 2011). The first recommendation is to use 3 Month Treasury Bills where possible (Thomson Reuters, 2009). Unfortunately, these recommendations have not been updated recently. Some of the series mentioned are now dead (i.e. do not give up to date data), including those for the US and UK. By default these express the 3 Month T-Bill rate as an anualised percentage yield (comparison chart below). However FRTBS3M and UKTBTND also have datatype RI – total return index – which makes calculating a monthly/weekly/daily return easier. See comment March 3 1014 below. For the examples above, LTRUKBMK is the UK list and LTRUSBMK is the US list, with TRUK3MT the UK 3 month rate and TRUS3MT the US 3 month rate. Risk Free Rate for UK and US (August 2011) is a good starting point if you are looking for alternative sources. The Thomson Reuters extranet recommendations (Thomson Reuters, 2009) have been mentioned in a previous post Risk Free Interest Rate (November 2009) and do not seem to have been updated since then. Thomson Reuters (2009) Risk free interest rates. Available at: (Datastream extranet) http://extranet.datastream.com/data/Exchange%20&%20Interest%20Rates/RiskFreeInterestRates.htm (Accessed: 25 October 2013). A comparison between the US risk free rate returns from Datastream ( PCT#(FRTBS3M(RI),1Y) ) and annual factors from Ken French – see comment below. 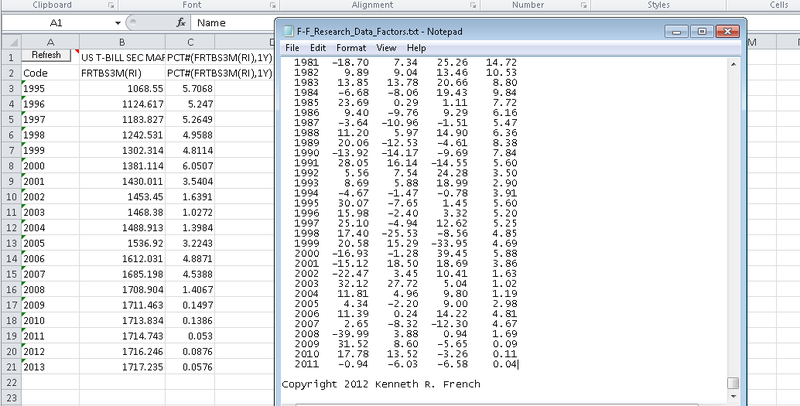 The 2000 figure is 6.05 from Datastream and 5.88 from Ken French’s annual factors. We would not expect these to be identical since one is based on the return of 3 month treasury bills and the other on 1 month treasury bills.